"ASSAULT GUNNERS HD EDITION puts you in control of the Peace Keeping Force known as DAT and along with your three allied Battle Mechs, you must attempt to save Earth’s Migrants and the Mars Colonies as a whole from the threat of the ANTS uprising. Who or what could be leading this threat against Mars, and the new planned perfect utopia for humanity? 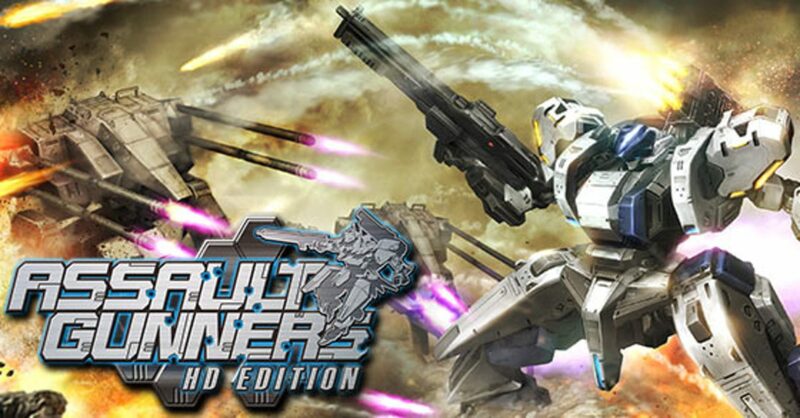 With 35 full-length battle-heavy missions, a horde gameplay mode known as “Inferno Mode” covering 5 varied maps and over 100 mech-customisation possibilities for yourself and your allies, there’s plenty of replayability and content present in the standalone version of ASSAULT GUNNERS HD EDITION." "It’s the Year 208X, Mars is in the process of terraformation with an expected timeline of 300 years till completion. Back on Earth a great war erupts and millions of migrants look to Mars to flee their home. The Planet Remodelling Project is accelerated with the aid of ANTS, a completely robotic automated system. Migrants build large dome-shaped colonies in regions with now stable climates and rush to construct cities within them to sustain the flow of refugees. Time passes and the World Federation has set up military colonies on Deimos and Phobos, and the dwarf-planet Ceres is being moved to Mars’ orbit to help create an ocean for the planet. One day, communication is suddenly lost with the surface of Mars, a peace keeping force called DAT whom are currently training on Deimos are sent to investigate..."